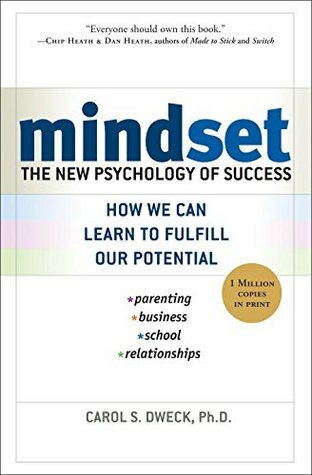 At my full-time job this year, I asked my team to read Mindset, by Carol Dweck. It's perfect for people working in education, because it applies both to ourselves and the students that we serve. We're only a few chapters in, but already I can see why the revolutionary concepts in it made such waves when it first came out ten years ago. Dweck, a social psychologist, posits that while nature and nurture are indeed important to one's development, more important than anything is your mindset - what you think about yourself and your abilities. In the book, she explains that there are two kinds of mindsets: fixed and growth. People with a fixed mindset tend to think that their abilities and skills are set from birth. Their intelligence, their talent and their skills are all endowed by genetics and there isn't much one can do to change any of it. People with the growth mindset, however, see all of these traits as malleable. They believe that they are always able to change, grow, and learn new things. The two mindsets influence all other areas of life. They color not only self-perception, but behavior as well. For instance, people with the growth mindset are more likely to try new things and bounce back from failure and disappointment. People with the growth mindset are more apt to blame their failures on other people and to stick to things they know they're already good at. What's so revolutionary here is that your mindset can be changed. Dweck cites numerous studies in which people were influenced to have one kind of mindset over another. There is no end to the potential of a growth mindset to small business owners, and writers in particular. I don't know any group of people who have more of a fixed mindset about their abilities than writers. We are constantly in awe of other writers' talents and skills, because we so rarely get to see the work and drudgery that goes into writing a book or an essay. I so often forget that the best stories I've read didn't just spring that way from the author's mind to the page on the first try. I think that they were born with raw talent, but more often than not, they just worked really, really hard. Recently, I had an opportunity to put my mindset to the test. In almost every way, 2017 was off to a great start for me. I was knocking things out of the park when it came to my goals and accomplishments. I had just been paid by two previous jobs I had completed, was reading up a storm, and best of all, I received an invitation to write a sample post for a content creation and ghostwriting factory. It was the ultimate dream come true: the possibility of ongoing, paid, flexible work from a real and reputable business. It was the holy grail for a part-time freelancer. The first assignment they asked me to do was a 2,000 word post due in three days. I was a little dismayed by the length, especially since, on the day it was due, I knew I would be at my full-time job for most of the day. So I really only had two days to complete the assignment. But wanting to make a good impression, I accepted. I spent every spare minute over the next 48 hours working on it. I found out just how long and laborious 2,000 words really is, not to mention that since I was relatively new to SEO keywords and Word formatting, I was doing a lot of research to go with it. Of course, as inevitably would happen, a crisis came up at work the night before my article was due and I got home much later than expected. Still, working late into the night, I sent off a first draft. The reply came early the next day: there was a number of steps in their content guidelines that I failed to follow. I opened the content guidelines as soon as I could and re-read it with dismay; there was an entire section that I just failed to see. I was so embarrassed, especially since the company had commented that I was one of a few people who had been able to follow instructions in my application. I knew this looked unprofessional and apologized; this wasn't me. Fortunately, I had an entire Saturday to fix my mistakes, which I used to the last minute. I wasn't entirely happy with the finished product, but being out of time, I sent it off, hoping that for my next assignment, I could choose something shorter. This time, the feedback was that essentially I didn't take enough time to edit my work. The proofreading was fine, but the sentences were too long in places and some of the formatting was still off. They said that they could probably make it work with me going forward, but that I needed to do a second test assignment first. Again, I was embarrassed. I knew that because I had to rush I wasn't able to really give the work the quality that it was due. I apologized profusely and explained that I understood where I went wrong. I said that I should have accepted a shorter assignment for my first try and wanted only 500-800 words this time around. But the next day, the email that came in pulled the rug out from under me: "Sorry Matt, it's not going to work out after all. Thanks anyway." After getting over my initial shock, I was angry: "That's not fair; they just said I could try again!" Anger gave way to sadness over letting such a great opportunity slip through my fingers, all because I bit off more than I could chew. For a good week afterwards, I questioned everything: was I really cut out for this? Is it possible to do this part-time? Luckily, I had just started reading Mindset, and I knew that there were two ways I could handle such a large setback. I could let it convince me that I was a failure and shouldn't be doing this kind of work, OR I could figure out a way to learn from it, move on, and attack my next assignment with even more gusto. I also knew that I had a choice in how I decided to view the experience. I could choose my mindset and let it influence my behavior. Rather than continue wallowing in self-pity and defeat, I made a conscious decision to not let this failure define me. If anything, I resolved to continue searching for jobs with a greater sense of urgency. Last night, I went to a panel of all women authors on the subject of being a Misfit. The panel was titled after author Lidia Yuknavitch's Ted Talk, The Beauty of Being a Misfit. The discussion turned to the subject of failure, and Yuknavitch said something very profound, especially as it pertains to using your flaws in your writing: "We are at our most human when are making mistakes. Shame is an energy, and you can always move any energy into something else." I heard about the panel because, a week or so after getting this rejection email, I received another email in my inbox. I was granted a full scholarship to a Catapult writing class that I had applied for back in November. The course is all about building a writing career on the Internet, and my instructor was the curator and host of the panel. I was thrilled, the value of the class I was getting for free was unimaginable. Of course, I could have decided that after my earlier failure, I wasn't cut out for writing after all and rejected the invitation. But of course I didn't. I took it as a sign that when one door closes, somewhere another opens. Sign up to receive occasional updates from my blog and other musings. I respect your privacy. I will never share your information and you can unsubscribe at any time. Thanks! You will begin receiving emails as soon as I send one out.